Over at the TGF (The Gadget Fan) we have been compiling a lot of data on Tablets and Mobile phone scenario in India. Infact, over the next few days we will be offering quite a few interesting statistics on how new gadgets are getting proliferated at a hectic pace in India. India is lately seeing huge surge in Android based phones. Infact, Indian manufacturers like Spice and Micromax are part of Google’s grandiose Android plan. India which is typically neglected and left out of any global gadget launches is seeing its fair share of Android devices. 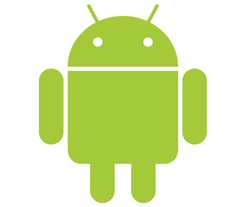 As many as 33 Android phones launched in India in the past twelve months. Some very important trends have emerged by analysing the specifications of these 33 Android phones. All the Android phones are 3G enabled phones with touch screens. There are no Dual-SIM phones. Six Phones have a Full QWERTY keyboard along with touch screen, four of which are from Motorola. All the 33 phones are Wi-Fi and Bluetooth enabled. Hope to see some of these in india.. I use Android. It is a mini computer in my hand. Excellent product.